Fleeing the Syrian military regime’s crackdown on anti-government/prodemocracy protests that started on the 15th of March 2011, Syrian civilians have begun to seek refuge in neighbouring countries (Lebanon and Turkey) over the past six months. The exodus of Syrians to Lebanon and Turkey has not, however, provided them with equal living conditions in the two respective countries of refuge. Contrary to their counterparts in Turkey, Syrian refugees in Lebanon have not received sufficient international aid. Their numbers remain a mere estimate, as most refugees prefer to reside with relatives or acquaintances. They are also reluctant to complete formal registration procedures, fearing the risk such registration may entail upon returning to Syria. For these reasons, we have established the SAWA Charity Association to support Syrian refugees in Lebanon. The Fundraising initiative was launched on the 5th July 2011 across several countries including the United Kingdom, France, Germany, the United Arab Emirates, Syria, Lebanon, Saudi Arabia, and Romania. With the help of the active members of SAWA, this initiative raised a total of $37,400. 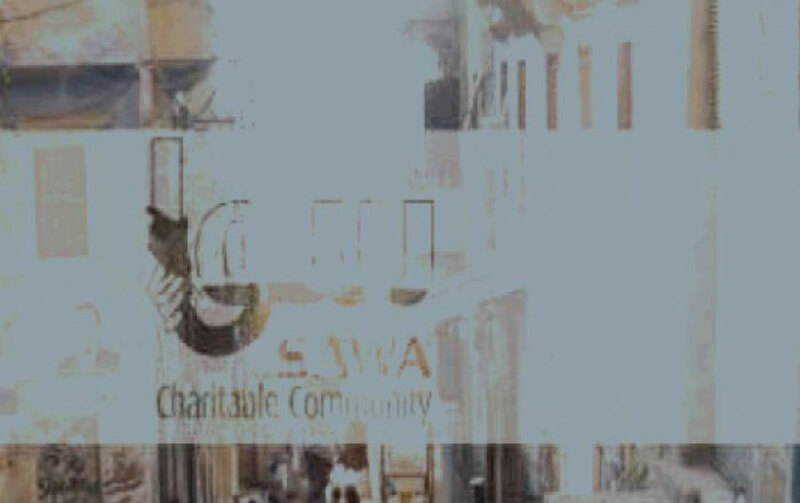 The SAWA Charity Association undertook its first visit to Lebanon in August 2011. This fact-finding trip aimed at exploring the best possible ways to distribute aid, and investigate refugees’ social and financial living conditions in order to relay this information to donors and member of SAWA. Lebanon is a country divided by several political forces with varying positions vis-à-vis the Syrian Regime. There are roughly three camps into which Lebanese factions can be split: pro-Syrian regime actors, those sympathetic to the protesters, and supporters of anti-Syrian regime protests. In light of the Lebanese political climate, most refugees are concentrated in the Northern region of Lebanon, particularly in the city of Tripoli. A few have headed to Beirut for medical purposes, but seek to move to regions with greater popular support for the Syrian protests. While some families have left Syria solely due to their inability to continue to survive under siege in their home towns, others have fled in response to direct threats made to their families or attacks on their domicile or property. Just as the reasons that drove the departure of refugees from Syria differ, so did their route into Lebanon. Some entered the country through the Syrian- Lebanese border, others have fled through the mountains and, in many cases, left their personal identification papers behind. Many arrive in Lebanon with nothing but the clothes they are wearing and are in dire need of assistance in acquiring food, shelter, and medical help. SAWA began to work in co-operation with Al-Basha’ir Association in Lebanon. Our choice was a result of extensive research into the most active charitable foundation providing assistance to Syrian refugees in Lebanon. We accompanied members of Al-Basha’ir during one of their tours to distribute aid to Syrian refugees. Our aim was to get to know up close the refugees’ needs and requests, their living conditions, as well as the best methods to communicate with them. We also sought to appoint spokespeople in each area who would facilitate communication with refugees. It was also crucial to build on the experience of Al-Basha’ir, especially in terms of identifying refugees from individuals who falsely claim this status in order to receive aid packages.In addition, the presence of a woman within our team was vital to establishing ties with female benefactors and gaining their trust, as she was allowed greater access to female gatherings and conversations regarding living conditions. We also visited Al Rahma school, which is sheltering 20 families at present. This visit was undertaken with the dual aims of investigating the living conditions of the families, as well as discussing with school officials their insights from the experience of hosting refugees, and the lessons they were willing to share. During our visit we co-operated with the Syrian Refugee Council, which is comprised of individuals with large networks among the Syrian refugee community in Lebanon. We recognise that refugees exhibit a stronger willingness to approach individuals of their own nationality and situation. Cooperating with the Council will facilitate gathering more accurate data in a less time-intensive manner. In parallel with our efforts to find a suitable plot of land for a refugee camp, and a preliminary study of the potential cost of such a project, we tried to communicate with the stakeholders involved to ensure that there is sufficient government commitment to provide secure conditions and protect a future camp from potential security risks or attacks. After much negotiation and several consultation sessions, it was concluded that the camp solution did not provide adequate protection for the refugees. Furthermore, in spite of the financial cost of establishing one the living conditions of benefactors, who are currently residing in built apartments, would not be ameliorated. It is possible to apply the financial resources and time better by equipping a constructed building (a disused school for example), to become a shelter for refugees. In light of this conclusion, we chose to focus on the existing structure/building solution, while continuing to pursue the camp solution along with several international organizations. We began the search for suitable premises to lodge refugee families, focusing on accessibility and suitability of location in terms of a friendly political sentiment towards Syrian refugees (primarily in the North, surrounding Tripoli). With the help of several charity associations, we located the Al Ebra school as a suitable location. The school is run by Al Ebra charity association and has been out of operation for several years. The disused school building is comprised of 3 floor and 18 rooms. It will need preparation before it is suitable for sheltering families. Necessary equipment include: a generator, a wall surrounding the premises, refurbishment of bathrooms and installation of shower facilities, as well as the refurbishment of two communal kitchens. We have allocated a sum of $17,500 to perform these tasks. We also set aside funds to guarantee the continued operation and upkeep of the building, foreseeing the unfortunate eventuality of dwindling funding and contributions from donors. On the 23rd of August 2011, and in co-operation with Al- Basha’ir and Al Ebra charity associations, and The Syrian Refugee Council, we began working on equipping the building with the necessary adjustments. We also estimated that it is beneficial to ensure co-operation with other parties in order to encourage transparency and mutual monitoring of conduct among these organizations. We noticed during our trip that refugees were accompanied by large numbers of children. In some cases, children arrive without the presence of a legal guardian or parent. We also noticed that several children exhibited signs of depression, and negative memories of their home country. Their situation is all the more concerning with the approach of the new academic year and the prospect of the children’s return to school. In addition, there are several medical cases among the refugee children (See section 10). As mentioned earlier in this report, most refugee families have been received by family relatives or acquaintances in Lebanon. A few cases even involve Lebanese families volunteering to host previously unknown Syrian families. In some cases, the refugee family possess sufficient financial means to rent property. This is no less problematic since some landlords are exploiting refugees’ dire need for shelter to charge higher rents and make financial gains. As the period of refuge grows longer, conditions of overpopulated houses and problems regarding property rental will increase tensions between the host and refugee population. This will only be exacerbated by the high temperatures of the summer and the frequent power cuts in some areas. To this end, many of the organizations we have met are attempting to create job opportunities for family members of working age. This provides the opportunity to earn income that contributes towards better housing solutions and financial independence. The majority of the refugees face difficulties in contacting their relatives in Syria. Some of them have not been in contact with their relatives back home for approximately four months. A case in point is a Syrian refugee who lost direct contacts with her husband in Syria for several months. This woman knew the news of her husband death – Syrian security gangs shot him in Syria- by a death notice published in the Lebanese suburb where she is taking refuge. Child 1 suffering from thalassemia. He is in need of routine blood transfusions which, if ignored, will result in loss of immunity, loss of bone mass and deformities. Child 2 suffering from Leishmaniasis. Medical consultation revealed that he is suffering from an advanced and rare stage of the disease and is in need of regular monitoring. If this condition is not given proper medical attention, the inflammation on the child’s face will risk rupturing and leaving permanent scaring to facial tissue. We are currently communicating with the family and discovering possible medical institutions that would accept to receive the child. Recognizing that Al-Basha’ir Association has been successful at providing refugees with their basic needs such as clothes, mattresses and food, we concluded that there remains a need for the distribution of financial aid packages to families. This is particularly important as it is difficult to identify each family’s unique needs when they arise. In addition, it was revealed that such efforts would provide great moral support by alleviating the anxiety families suffer due to their inability to pay for additional materials should an emergency arise. We have initially distributed an amount of $1,000 per family to 48 families, taking into consideration an assessment of the number of family members and their needs. In some cases, a relatively higher amount was distributed due to the assessment of more difficult conditions (medical needs in particular). These packages, donated in conjunction with Al-Basha’ir Association, were distributed as the customary money given as gifts during Eid celebrations, which coincided with the duration of the trip. Considering that the Syrian political crisis shows no signs of abating in the near future, and that the needs of refugees are constantly growing, we are preparing for the worst. We hope to raise larger donations with the aim of establishing more shelters for Syrian refugees (this is contingent upon the success of the first trial). We are continuing to equip the building, which is due to be completed in the upcoming two weeks. We are also discussing with international organizations the need to finance a refugee camp, should the numbers of incoming refugees rise dramatically. During this trip, the process of identifying contact persons and the operating environment was time-intensive and complex. However, having completed the fact-finding stage we aim to build on information collected during this trip to improve the efficiency of future visits. A member of the SAWA team will be visiting Lebanon in the near future to collect more information, which we will communicate with you in due course.